Want to know more about the latest OFCCP updates? Or such important topics as record-keeping, adverse impact, compensation, outreach, and more? OutSolve has the answers – with free Webinar training programs you can access throughout the year. Our professional consultants and guest speakers cover all key topics – from affirmative action basics to understanding advanced compensation analyses. 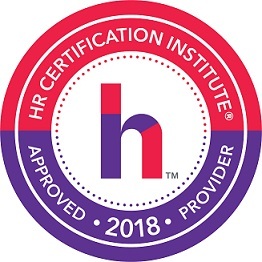 The presentations offer HR Certification Institute (HRCI) credits, and are recorded so our clients can access them anytime through our secure, online portal. If you're not an OutSolve client yet, you can still view Affirmative Action 101 Part 1 below and request access to view other past webinars. Since regulatory updates and changes happen all the time, OutSolve’s commitment to shared intelligence is key to helping your organization meet the challenges and plan on success. OFCCP audits are difficult! Here at OutSolve we support more than 100 audits every year and we know the process like the back of our hand. We will provide an overview of the audit process and our recommended Best Practices for plan submission, responding to requests and seeing the audit to closure. In 2018, the OFCCP welcomed new Director Craig Leen and with the new leadership came an expeditious agenda of new directives and expectations. OutSolve will provide a review of the directives and various OFCCP activities and provide insight into the current regulatory climate and how to adapt to the changes. Looking Beyond the Obvious: How Effective Are Your Outreach Efforts for Protected Veterans and Individuals with Disabilities? Join us as OutSolve and guest speakers provide us with tools for assessing the effectiveness of your outreach efforts to individuals with disabilities and veterans. Are you including all your efforts or merely listing the most obvious? This session will include suggestions for ways to maximize your current efforts as well as how to “think outside the box” when listing them. Every contractor should be working hard to ensure that their record-keeping practices, especially around the hiring process, are exemplary. Why? Because the risk of a complaint or even worse, an audit finding, can be a very expensive problem for contractors. The OutSolve team will review the details behind properly dispositioning hiring candidates in addition to adding clarity to the definition of an applicant and the impact of social media. Learning the basics of Affirmative Action Planning is a necessary beginning for any Federal contractor. The OutSolve webinar will cover not only the basics but also provide those all critical Best Practices. This session will help to provide a solid base and to give nuance to difficult areas such as outreach, record-keeping, goals, job listings, disparate impact, compensation and more!